During their regular meeting on Wednesday, January 25th, the Antioch School Board saw a huge turnout from members of the public as they showed up to support the Antioch Charter Academy II’s (ACA II) petition for renewal. The hearing was called only for public discussion and input, as the final hearing – during which the formal decision to renew ACA II’s charter or not – will occur at a later meeting, after residents’ input has been thoroughly weighed. More than two dozen students, parents, and teachers at ACA II spoke in favor of the petition for renewal, including Antioch Mayor Sean Wright and Police Chief Allan Cantando, whose children attend the school. Wright became emotional as he came before the Board, speaking of the difficulty he had had in finding a good fit for his children before ACA II. Vicki Willard, a second-year teacher at ACA II, spoke on the numerous programs that the charter school employs to reach students of all abilities and help them succeed. She was certainly correct on that point, as half a dozen ACA II students from various grades stepped up to speak in support of their school, as well. The charter school’s performance in recent years certainly supports its bid for renewal. Todd Heller, Co-Administrator and Financial Director for ACA II, was on hand to present some key statistics for his school’s performance. ACA II students, already performing higher than District schools in most categories in 2013, have only improved since then, he said. Math proficiencies increased from 31%-38%, and Language Arts saw a similar increase, from 46%-51%. Both of these numbers are higher than the statewide average in those areas. New Trustee Crystal Sawyer-White, the lead vote-getter in last November’s Board elections, re-enacted her oath of office before Wednesday’s meeting, when more people could be in attendance to witness it. Her actual swearing-in took place at the December 14th board meeting at 6 p.m. before it was on the agenda and the public could convene to watch. Former Trustees Fernando Navarro and Alonzo Terry were also recognized in a ceremony following Sawyer-White’s oath of office. The two Board Members were finally given their portraits and recognized by the Board after their service ended last year. Normally, departing Board Members are given their portraits during their last meeting. An attempt was made to have that occur in November, before the special meeting for the Rocketship Charter school hearing and vote in December, but Navarro and Terry refused. That meeting was held off-site and prevented the former trustees from getting their portraits until Wednesday. To view Sawyer-White’s oath of office re-enactment and thank you speech, it is available on the Antioch Herald Facebook page. 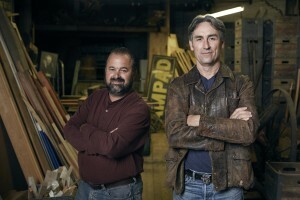 Frank Fritz and Mike Wolfe of the American Pickers TV show. Mike Wolfe, Frank Fritz, and their team are excited to return to CALIFORNIA! They plan to film episodes of the hit series AMERICAN PICKERS throughout the region in Spring 2017. AMERICAN PICKERS is a documentary series that explores the fascinating world of antique ‘picking’ on the History channel. The hit show follows Mike and Frank, two of the most skilled pickers in the business, as they hunt for America’s most valuable antiques. They are always excited to find sizeable, unique collections and learn the interesting stories behind them. 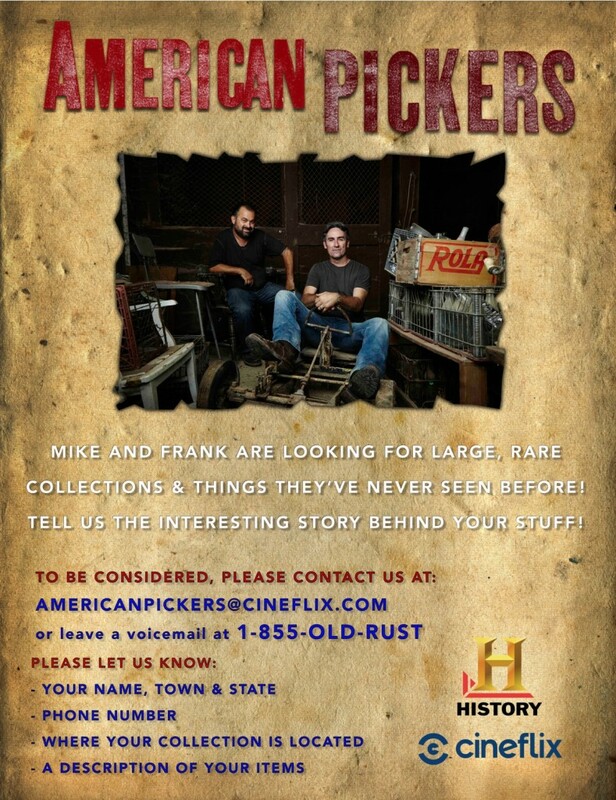 AMERICAN PICKERS is looking for leads and would love to explore your hidden treasure. If you or someone you know has a large, private collection or accumulation of antiques that the Pickers can spend the better part of the day looking through, send us your name, phone number, location and description of the collection with photos to: americanpickers@cineflix.com or call 855-OLD-RUST (653-7878). During their second meeting of the new year on Tuesday, Jan. 24, the Antioch City Council heard some good news from Antioch Police Chief Allan Cantando, approved the creation of a police tax on a new residential development, appointed Kenny Turnage to the Planning Commission and formed committee to select a search firm for a new city manager. After hearing a presentation on the state of its investment portfolio, the Antioch City Council then heard from Cantando as he gave the Antioch Police Department’s year-end review of crime for the year 2016. “I have some very good news to report,” he told those in attendance, citing decreases in violent crime (-1.4%), property crime (-5.7%), and arrests (-2.7%) from 2015-2016. Cantando brought attention to a “continued decrease in crime over the past three years”, as a result of the city’s renewed focus on crime and blight reduction and the hiring of additional police officers. The APD’s robust volunteer program, which contributed over 10,000 hours of work in 2016 alone, and the new “Decoy Patrol Car” program have played roles in the lower crime numbers, and aim to continue their success into the new year. Drug seizures were once again Antioch’s biggest problem, as the APD seized over 13,000 grams of marijuana, 890 grams of meth, and smaller amounts of cocaine and heroin last year. Since 2013, the APD has hired 46 new police officers, but undergone 30 separations—including retirements, resignations, and terminations—to bring the net increase in Antioch’s police officers to 16. The APD’s current staffing numbers sit at 97 sworn officers, with one additional recruit set to graduate and join the force in March. That’s based on the figure of 82 sworn officers the city had on the police force in November, 2013 at the end of the Measure C campaign. However, there were 89 sworn officers in the APD at the time the ballot measure campaign bega,n and the voters were promised by then-Mayor Harper and the city council, the immediate hiring of 22 more police. Using that as a base figure the city has added a net eight officers. Later in the meeting, the Council held a public hearing to formalize a new Community Facilities District (CFD) to assess a tax on new residential developments, in the amount of $445 per home per year, for more police. New residential development in Antioch is expected to produce more calls for service for the APD due to the increase in population, and the city’s General Plan calls for new growth to cover the increased cost to the city’s police services. This particular CFD was initiated by developer Davidon Homes for their Park Ridge subdivision, a 525-unit development located west of State Route 4 and south of Laurel Road, as part of its Development Agreement with the city. It requires Davidon do its part to cover the increased costs of police services provided by the city. In a 5-0 vote, the Council approved the formation of the new CFD and the levying of the new development taxes. With the approval of the CFD, Davidon can now begin the process of obtaining building permits, and move forward with their subdivision. The council also appointed Antioch resident Ken Turnage to the Antioch Planning Commission, in Mayor Sean Wright’s first commission appointment. The mayor has the power to nominate people for appointments. But it requires a majority vote by the council to approve. Turnage, the owner of K2GC, Inc., a general contractor in Antioch, ran for city council and came in fourth in the November election. He has served on the city’s Economic Development Commission. Wright also formally initiated the process of searching for a new city manager in the wake of former Antioch City Manager Steve Duran’s retirement. Duran, who turns 62 next month and wants to spend more time with his family, informed Council of his intent to retire on Election Night, November 8, offering to help in the selection process as the council saw fit. Mayor Wright called for volunteers from among the council members to form an ad-hoc recruitment committee, whose purpose will be to select the headhunting firm that will search for Antioch’s new City Manager. Councilwoman Lori Ogorchock and Mayor Pro Tem Lamar Thorpe both volunteered and will sit on the committee. When the committee has selected a suitable firm, the firm’s contract will be brought before Council for approval. From start to finish, including the time it will take the committee to select a firm, the selection process will take about six months, at which point the city’s new City Manager will begin his or her work with Antioch. Our supervisors, Federal Glover of District 5 and Diane Burgis of District 3 have good environmental records. Indeed, supervisor Glover has consistently supported the ULL. In a May 2016 interview by another news source, Glover stated: “I have always contended that the Urban Limit Line was necessary so that our region would not grow more than what our infrastructure could handle. Traffic, police services and schools are the main services that suffer when growth happens too fast.” The recently elected District 3 supervisor, Diane Burgis, has strong environmental credentials having established them in her position as executive director of Friends of Marsh Creek Watershed. The Antioch School Board faced criticism over the way the oath of office ceremony for new Trustee, and top vote-getter in the November election, Crystal Sawyer-White was handled, as well as the recognition of outgoing Trustees Fernando Navarro and Alonzo Terry, in December. In response, new Board President Walter Ruehlig and Vice President Debora Vinson have set a redo for tonight’s meeting. A re-enactment of Sawyer-White’s oath of office will begin at 6:15 p.m. followed by a time of special recognition of Navarro and Terry. Members of the public will be allowed to speak and offer their thoughts and thanks to all three. That will be followed by a reception. According to a previous Herald article, Sawyer-White’s original ceremony was rescheduled for 6:00 p.m., an hour before it was listed on the agenda for the December 14th meeting, without announcing it publicly. So, very few people were in attendance. An attempt by former Board President and re-elected Trustee Diane Gibson-Gray was made to replace Navarro and Terry with Sawyer-White and returning Trustee Gary Hack, before the Rocketship Charter School vote at the December 7th special board meeting. Navarro saw the removal of his and Terry’s photos from the wall inside the District offices and their presentation to the two outgoing board members at the meeting on November 16, as part of that effort. He refused to accept his photo that night and Gibson-Gray’s effort was later rebuffed by Ruehlig and Vinson. Until tonight’s meeting there has been nothing on a school board agenda for an official farewell to the two former trustees, the way the Antioch City Council handled it during the transition of power, there. The ceremony, recognition and reception will be followed by the regular school board meeting at 7:00 p.m. Both will occur in the Board Room at the District Administrative Offices at 510 G Street in downtown Antioch. To view the entire meeting agenda, please click here. Supervisor Federal Glover has announced opportunities for District 5 residents to make decisions affecting their communities by serving on an advisory board, commission or committee in Contra Costa County. Glover is seeking to fill openings on the following advisory bodies: Alcohol and Other Drugs Advisory Board; Contra Costa County Mental Health Commission; County Service Area R-10 Citizens Advisory Committee; County Service Area M-16 Citizens Advisory Committee; Crockett-Carquinez FPD Fire Advisory Commission; First 5 Contra Costa Children and Families Commission; Library Commission; Pacheco Munipal Advisory Council; and West Contra Costa Unified School District, Citizens Bond Oversight Committee. Commissions are appointed by the Board of Supervisors based on the recommendation of the Supervisor Glover. Interested individuals should contact his office at (925) 335-8200 to obtain an application form. Completed applications must be received in Supervisor Glover’s office by close of business Friday February 10, 2017. Alcohol and Other Drugs Advisory Board: the mission of the Contra Costa County Alcohol and Other Drugs Advisory Board is to assess family and community needs regarding treatment and prevention of alcohol and drug abuse problems. They report their findings and recommendations to the Contra Costa Health Services Department, the Board of Supervisors and the communities they serve. The Board works in collaboration with the Alcohol and Other Drugs Services Division of Contra Costa Health Services. They provide input and recommendations as they pertain to alcohol and other drugs prevention, intervention, and treatment services. The current 3 seats that need to be filled: District V-A, District V-B, and District V-C. The Board meets the 4th Wednesday of every month at 4 p.m. at 1220 Morello Avenue, Suite 200, Martinez. The current openings have three year terms ending June 30, 2019. For additional information call Fatima Matal Sol at (925) 335-3307. Contra Costa County Mental Health Commission: members review and evaluate the community’s mental health needs, services, facilities, and special problems; to review any County agreements entered into pursuant to Section 5650 of the Welfare and Institutions Code; to advise the governing body and local mental health director as to any aspect of the local mental health program; to submit an annual report to the Board of Supervisors; review and make recommendations regarding the appointment of a local director of mental health services; review the County’s performance outcome data and communicate its findings to the State Mental Health Commission; and assess the impact of the realignment of services from the State to the County on services delivered to clients and the local community. The current seats are for 1 District V Family Member Seat, 1 District V Member-At-Large Seat, and 1 District V Consumer Member Seat. The Committee meets the 4th Thursday of every month at 4:30 p.m. at 2730 Grant St. Classroom A, Concord. The current openings have terms ending June 30, 2018. 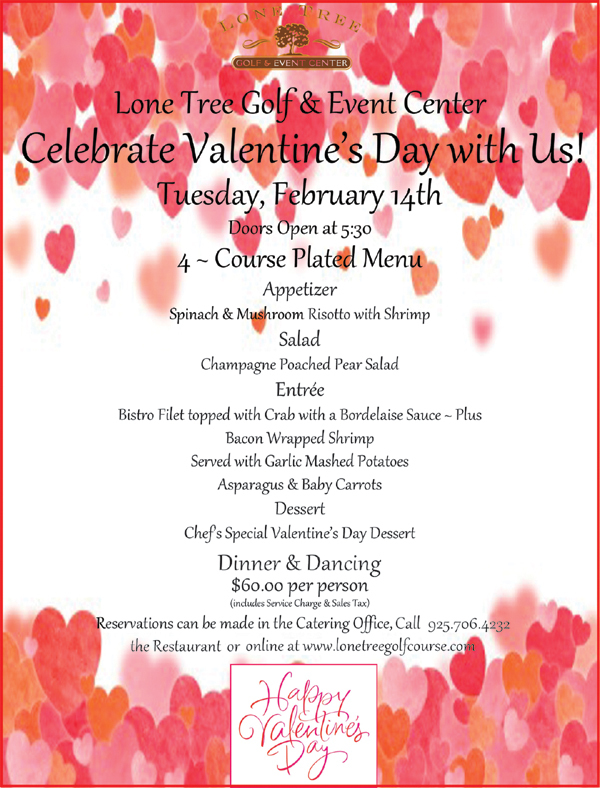 For additional information call Karen Shuler at (925) 957-5140. County Service Area R-10 Citizens Advisory Committee: members advise the Board of Supervisors on the desires of the community in the area of local park and recreation facilities and services. The current seat is for 1 Regular Seat. The Committee meets the 2nd Monday of every month at 7 p.m. at Lefty Gomez Field Recreation Building, Rodeo. The current regular opening has a term ending June 30, 2018. For additional information call Susan Cohen at (925) 313-2160. County Service Area M-16 Citizens Advisory Committee: advises the Board of Supervisors and the administrative department regarding the desires of the community of Clyde in the following areas: Street lighting facilities and services, recreation and park services. The seats that are open are for 2 Alternate Members. The Board meets as needed. The current regular opening has a term ending Dec. 31, 2018. For information call Lynn Reichard-Enea at (925) 427-8138. Crockett-Carquinez FPD Fire Advisory Commission: to review and advise on annual operations and capital budgets; to review district expenditures; to review and advise on long-range capital improvement plans; pursuant to district ordinance to serve as the Appeals Board on weed abatement matters; to advise the Fire Chief on district service matters. The seats that are open are for 3 Regular Members. The Board meets the 3rd Thursday of every month at 7 p.m. at 746 Loring Avenue, Crockett. The current regular opening has a term ending Dec. 31, 2018. For information call Gerald Littleton at (510) 787-2717. First 5 Contra Costa Children and Families Commission: commission shall adopt an adequate and complete County strategic plan for the support and improvement of early childhood development within the County. The seat that is open is for 1 Regular Member and 1 Alternate Member. The commission meets the 1st Monday of every month at 6 p.m. at 1485 Enea Court, Suite 1200, Concord. The current alternate opening has a term ending Dec. 31, 2018. 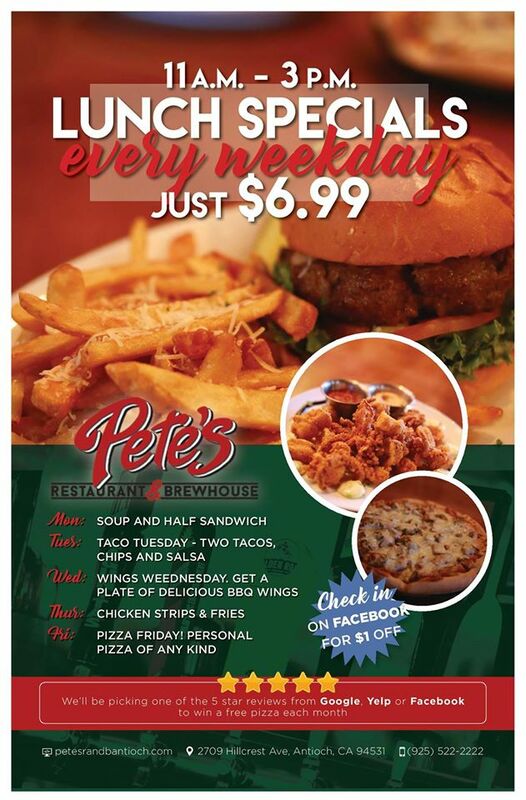 For information, call Sean Casey, (925) 771-7316. Library Commission: serves in an advisory capacity to the Board of Supervisors and the County Librarian; to provide a community linkage to the County Library; to establish a forum for the community to express its views regarding goals and operations of the County Library; to assist the Board of Supervisors and the County Librarian to provide library services based on assessed public needs; and to develop and recommend proposals to the Board of Supervisors and the County Librarian for the betterment of the County Library including, but not limited to, such efforts as insuring a stable and adequate funding level for the libraries in the County. There are 2 current seats available: one Regular Seat and one Alternate seat. The commission meets the 4th Thursday of every other month from 7-9 p.m. at 75 Santa Barbara, Pleasant Hill. The current regular opening has a term ending June 30, 2018. For additional information call Brooke Converse at (925) 646-6423. Pacheco Municipal Advisory Council: role is to advise the Board on services which are or may be provided to the community by the County or other government agencies, feasibility of organizing the existing special districts serving the community in order to provide public services such as, but not limited to, water, sewer, fire and park and recreation; and to represent the community before LAFCO and the County Planning Commission and the Zoning Administrator, and to provide input and reports to the Board, County staff or any County body on issues of concern to the community. The opening is for 1 Regular Seat. The council meets the 2nd Wednesday of the month at 6:30 p.m. at 5800 Pacheco Blvd., Pacheco. The current regular and alternate opening has a term ending Dec. 31, 2020. For information, call Lynn Reichard-Enea at (925) 427-8138.
any County body on issues of concern to the community. The opening is for 1 Regular Seat. The council meets the 4th Thursday of the month at 7:00 p.m. at 199 Parker Avenue, Rodeo. The current regular term ends Dec. 31, 2020. For information, call Vincent Manuel at (925) 427-8138. West Contra Costa Unified School District, Citizen’s Bond Oversight Committee: the purpose of the Committee is to inform the public concerning the expenditure and uses of bond revenues. The committee’s legal charge is to actively review and report on the expenditures of taxpayer’s money for school construction. The current seat is for 1 Regular Seat. The Committee meets once a month on the 3rd Wednesday of every month 6:00-8:30 p.m. at 1400 Marina South, Richmond. The current regular opening has a term ending June 30, 2018. For additional information call Luis Freese at (510) 307-4544.